The following article is the start of our blog series, REAL Retail. Real stories from real people in retail. Whether it’s the elephant in the room or a highly relatable story, our authors who have direct, real-life retail experience, like to dive in head first. At one time, this was technology’s value proposition: reduce the workforce and automate processes. While some retailers are indeed closing stores, many more are opening them. A recent Forbes article supports this claim but explains that the new doors opening are different. The buyer is changing and the role of the store is changing; therefore, retailers must think differently and become nimble. Retailers who hedge this bet will likely be left behind. Creating immersive customer experiences and fostering relationships is the emerging and highly essential role of the store. 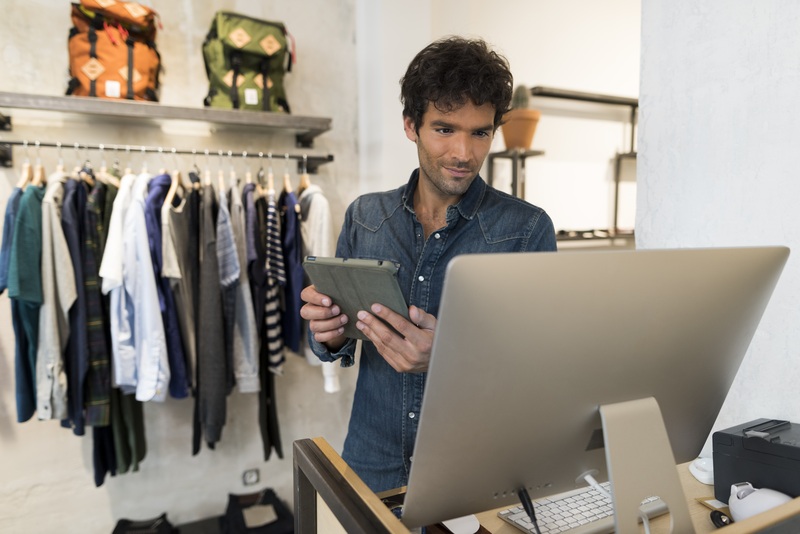 Just as the role of the store has changed, so too has the role of technology in the store. Technology now enables adaptability. And adaptability is required to be nimble enough with your store environments to anticipate new customer behaviors and expectations as they evolve. One of the best uses today for technology is to empower the in-store associate, not replace them. Customers have come to expect personalized experiences online. I don’t have to remember the name of the nightstand I was looking at one evening because, via cookies, automagically the image and description will follow me online through my varied and seemingly unrelated browsing journey. This is targeted messaging. As a consumer, I know my data is tracked, and I’m agreeable if I perceive that the outcome is to my benefit. Customers have come to expect this and in many cases the absence of this convenience causes friction in the store. Eliminating friction throughout the buying process is a win for everyone all along the path to purchase. In-store associates are the keys to this frictionless shopping experience in brick and mortar when properly supported by data. Technology enables this data to be delivered and then used to improve the customer journey. Have you ever spent an evening mindlessly shopping online, filling virtual carts but buying nothing? You are in good company. According to a recent study published by Small Business Trends, a whopping 83 percent of eCommerce customers never buy the stuff in their cart. Suddenly, I feel normal! In many online environments, once you close that browser, your cart contents disappear. That gap is closing fortunately. But how convenient would it be to go to the eCommerce retailer’s brick and mortar location and have the associate be able to see your virtual cart and direct you to the merchandise, or better yet have it waiting for you when you arrive? That is frictionless. That knowledge requires data and getting data into the associates’ hands requires a robust solution set to enable the experience. The store is not going away, and the associates are not going away, but their collective roles are changing dramatically. Whether in eCommerce or brick and mortar, the key is keeping the customer and their needs at the center of the journey. It’s all about them!